I know, I know, officially autumn started on 22 September which is a couple of weeks ago now. But I just woke up on Saturday feeling autumnal. And the leaves have started to fall around here (though not actually change colour yet) and it definitely felt like weather for jumpers and long walks and cups of tea. 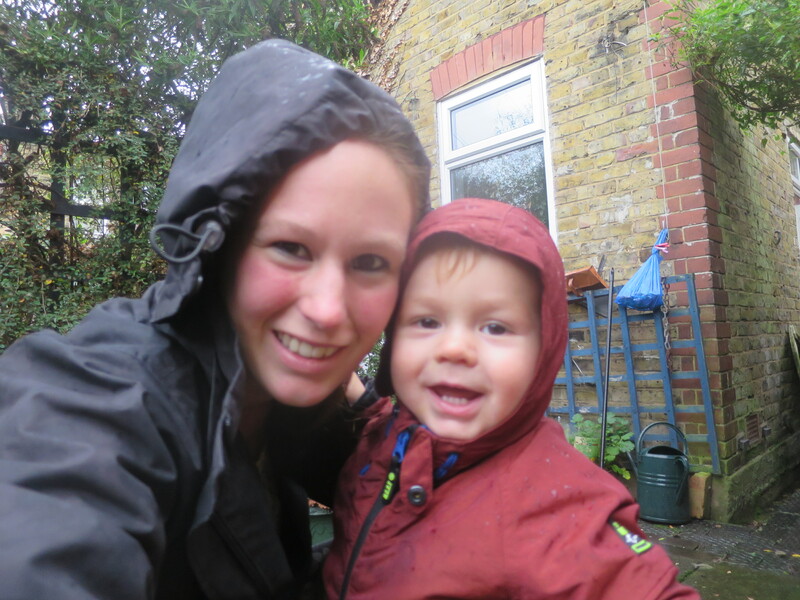 So what better way to celebrate than a foraging walk through the woods? I am, at best, a very novice forager, but our local patch of woodland makes it easy by having plenty of easily identifiable munchables…I mean plants. 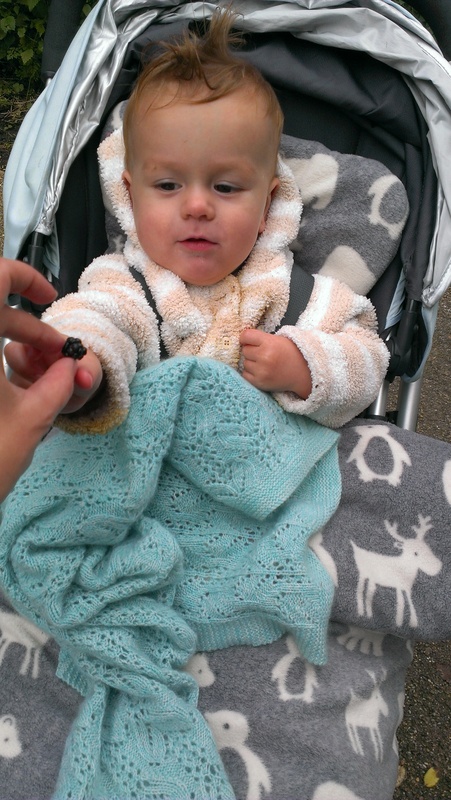 We were lucky to find some late blackberries (Tom’s favourite). 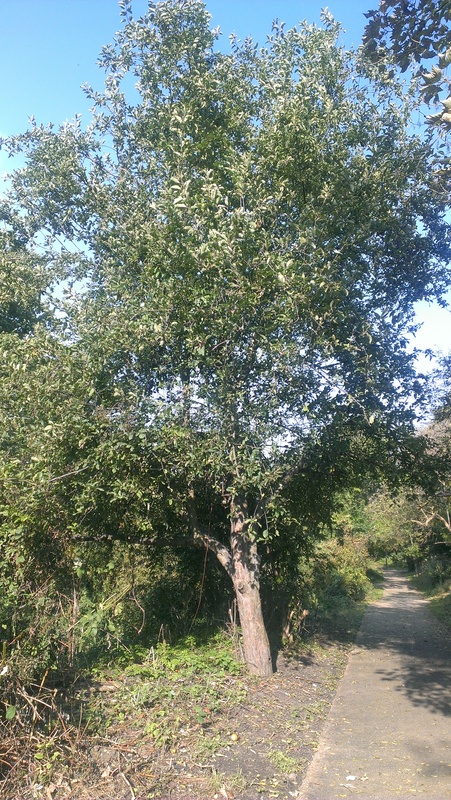 Sadly, the apple tree was looking pretty bare, with only some rotting ones left beneath. 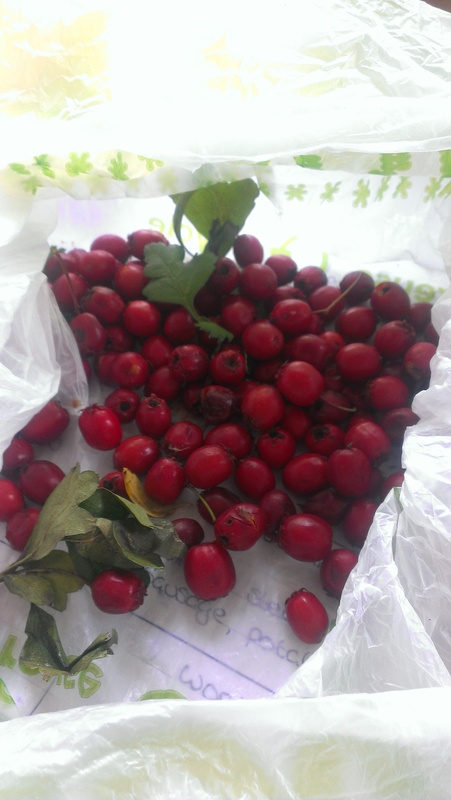 But we did score some hawthorn berries (I would have picked more but Tom was bored and wanting to move on). I also spotted some rosehips, but by this stage Tom was getting antsy and wanted to escape from his cruel torture device (aka the buggy). 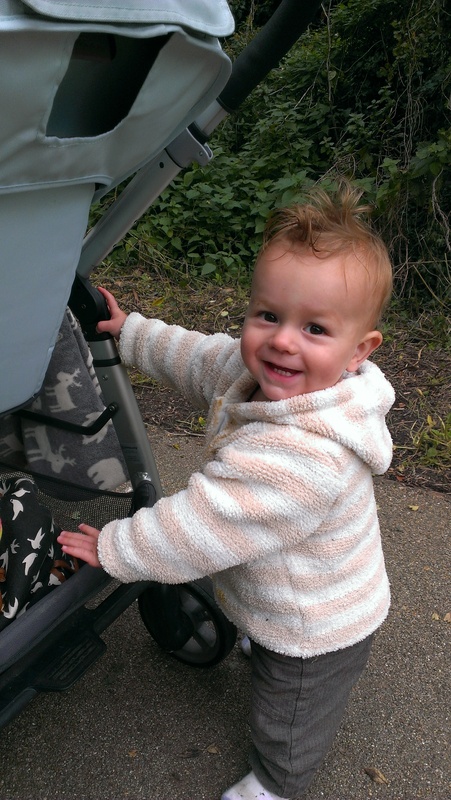 Despite the rather rough path, he enjoyed crawling around, and also practiced pushing the buggy for a bit. I love this time of year. Very thankful to live somewhere with proper seasons! 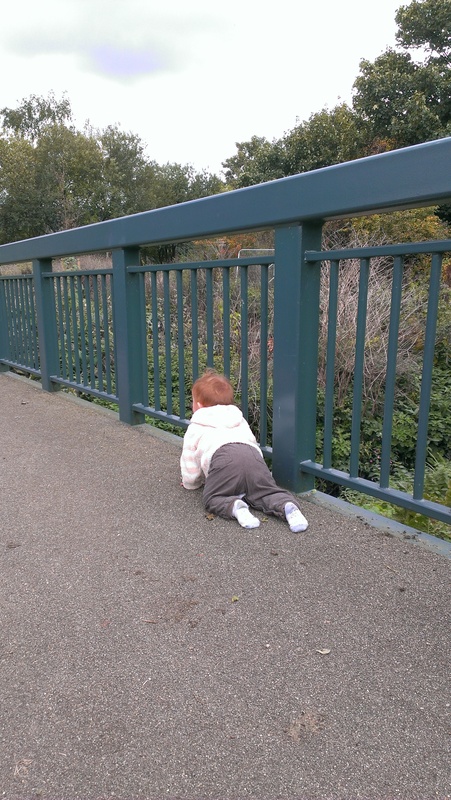 Posted on October 11, 2015 December 18, 2015 by LucyPosted in Outdoors, Play Ideas, Wild TimeTagged autumn, foraging, toddler, walks, wild spaces, Wild Time, woodland.